So you have your affiliate marketing idea and you’ve found suitable affiliate products to promote with good commissions, so what next? I’ve previously discussed buying your own domain name rather than using a free domain name and the reason for committing $10 per year for your own domain name is to ‘own your website’. When you add content to domains that you do not own yourself, you’re simply renting or borrowing that space rather than owning you’re own property. So once you have your domain name the next step is to build your website and the easiest way to do this is to use a free content management system like WordPress. In this video, I’m going to show you how to begin adding killer content to your wordpress website that will build trust with your readers and encourage them to follow your affiliate offers and promotions. 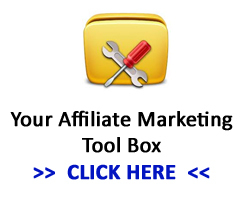 This entry was posted in Affiliate Tutorials, Beginners Guide to Affiliate Marketing and tagged affiliate marketing, Content, Wordpress on August 10, 2013 by Admin.